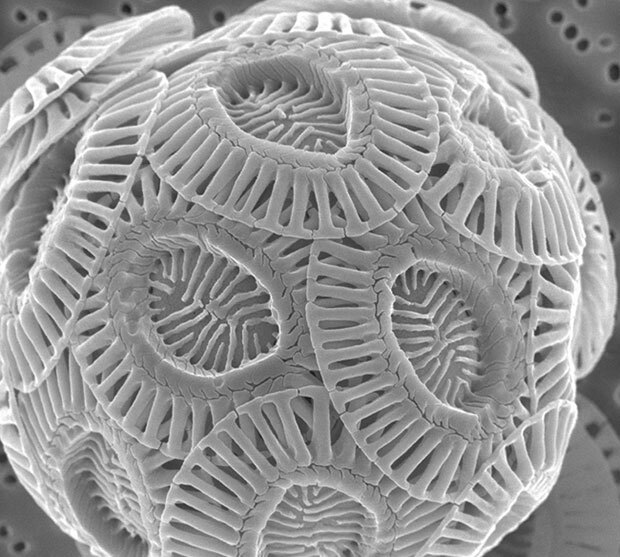 b) the battle between the coccolithophores (and presumably other plankton) creates a varying (sinusoidally? with what period? random? or not?) output of Oxygen into the atmosphere. I’m really interested in (b). What does the time/space dependence of this battle (i.e the phytoplankton blooms/die-off) look like? What are the governing parameters that effect this battle? Ocean temp? seasonal solar gain? presence of other types of plankton? Is there anything to be gained by trying to simulate this? How would one model this realistically? William Wilson — if you’re ever passing through Portland, I’d love to hear more about these critters over a pint of beer.